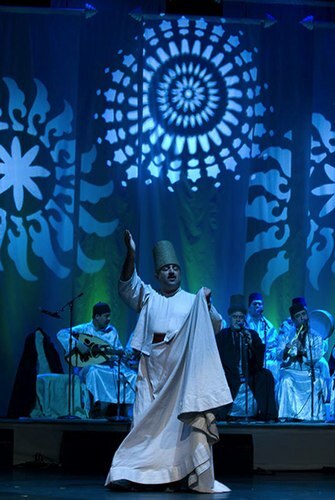 A Mystical Journey, a music festival celebrating Sufi music and other expressions of devotion from the Muslim world, completed their U.S. tour in April in Queens, NY, showcasing nine different performing groups from Algeria, Bosnia, India, Iran, Pakistan, Syria, Tajikistan, and the United States. 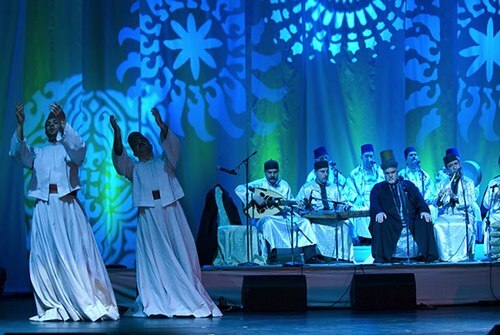 One of the dance ensembles was Tahleeleh, a Syrian Sufi music group featuring whirling dervishes, ones who express their devotion by Sufi dance. Led by Sheikh Hamzeh Chakour, choir master at the Great Mosque in Damascus, the group of 10 musicians carry on the rich Sufi tradition with a devotional strikingly similar to the Islamic call-to-prayer, accompanied by the oud (string-based guitar), nay (flute), riqq (tambourine), and qanun (zither). As the music increased in intensity, four men slowly rose and shed their great outer black robes to reveal the Sufi dancer's white vestments. 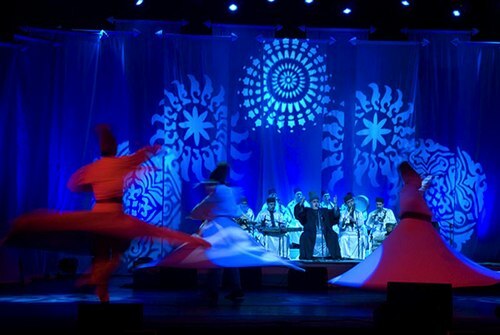 Sufi music and dance are connected, with the esoteric Sufi Muslim tradition dictating that the mystical turning of the dancer indicates his connection with the harmony of the universe. 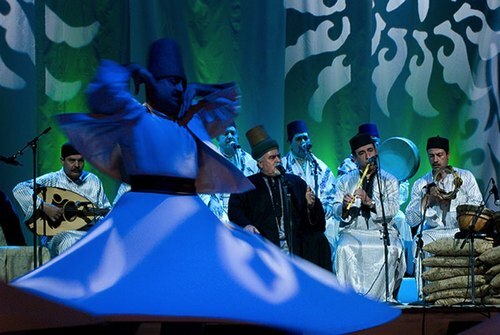 After bowing to the attendees and the musicians, the dervishes swayed back and forth, spinning in slow circles then increasing in speed, as the musicians continued their rhythms. 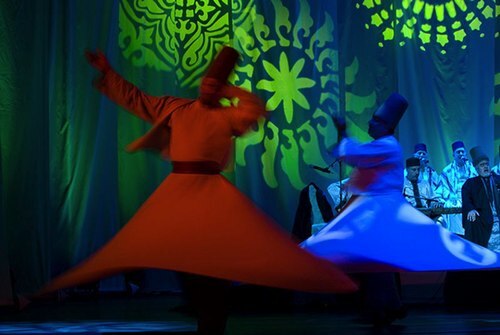 The Sufi dancers kept their right hand uplifted to signify receiving wisdom from God, and the left hand pointed to the ground to indicate the distribution of this knowledge to the universe. 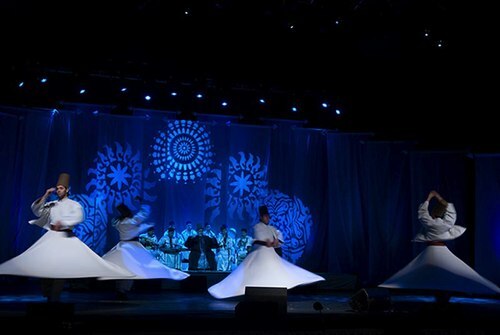 As the music's cadence grew faster and the sheikh's voice soared above the drumming, the dancers' robes billowed out to create a conical blur as they spun in ever-tighter circles. The audience erupted in appreciation, clapping and stomping their approval of a time-honored traditional expression of devotion.